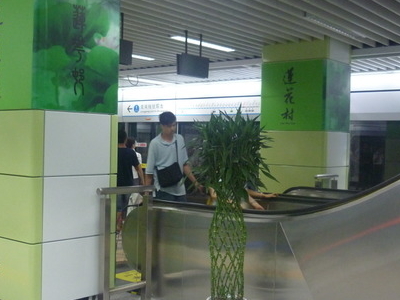 Lianhuacun Station (Chinese: 莲花村; pinyin: Líanhuācūn Zhàn), whose Chinese name means Lianhua Village, is a station of Shenzhen Metro Longgang Line. It started operations on 28 June 2011. Here's the our members favorite photos of "Metro Stations near Futian". Upload your photo of Lianhuacun Station!